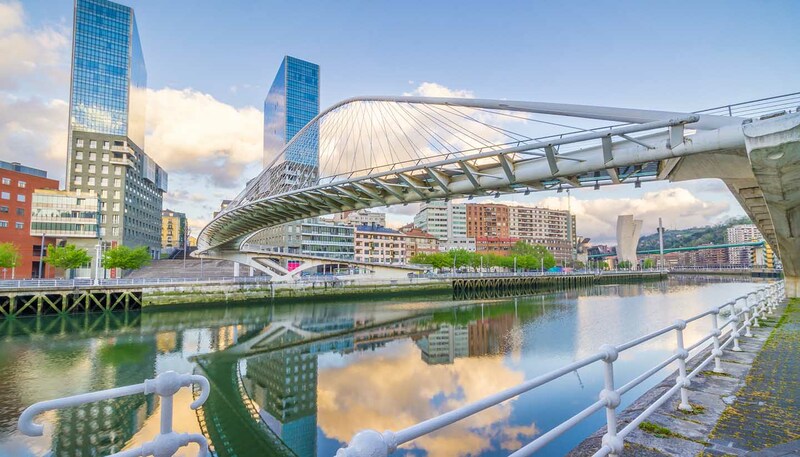 In less than 20 years, Bilbao has transformed itself from a nondescript industrial town into one of Spain's coolest destinations. Often described as “gritty” and “authentic”, this northern port is more than just a big-nosed character actor to Madrid or Barcelona's glamorous film star. Until the late 1990s, Bilbao relied on its commercial prowess over its looks. It was where fish came in and iron went out. Gourmands and art lovers would arrive by ferry, before swiftly disappearing to glamorous San Sebastian. That all changed in 1997 when The Guggenheim arrived. The famous art museum, built along the once rundown riverside, didn’t just transform Bilbao, but the world. Now, any attempt to revitalise a city with high-end architecture or art is referred to as The Guggenheim effect - homage to the extraordinary revolution Frank Gehry's building wrought on the city. Half Sydney Opera House, half spaceship, Bilbao is worth visiting for the museum alone. Its success inspired even more spending in the city: the metro stations were designed by Norman Foster, while Zubizuri Bridge was created by superstar architect, Santiago Calatrava. Still Bilbao isn’t slowing down, and work has already begun on ambitious plans to redevelop the grimy Zorrotzaurre district. For visitors, the city's heart still remains in the medieval streets of the Old Town. Known locally as Las Siete Calles (The Seven Streets), the narrow cobbled walkways hold the 14th-century Santiago Cathedral at their centre and are bordered by the covered market. It’s here that visitors snack on delicious pintxos (tapas on sticks) that locals say are every bit as good as the ones in San Sebastian, no matter how many Michelin stars their neighbour gets. With stunning beaches just down the road, decent surf on the Basque coastline and a burgeoning working class arts scene in the barrios (neighbourhoods) of San Francisco and La Vieja, Bilbao may not trump Barcelona, but it no longer has to look up to anyone.